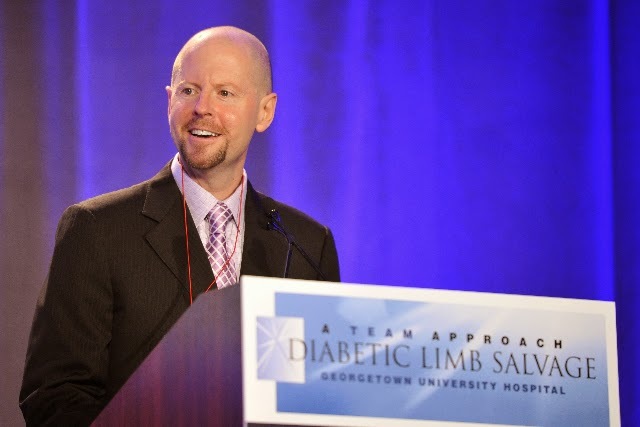 David G. Armstrong, DPM, MD, PhD, Professor of Surgery and Director of the University of Arizona’s Southern Arizona Limb Salvage Alliance (SALSA) has been appointed Chair of the working group of the Patient Centered Outcomes Research Institute (PCORI) on health disparities in amputation in people with diabetes. “It is an honor to serve as founding chair of this workgroup”, noted Armstrong, who also serves as co-Chair of the University of Arizona’s Health Disparities Advisory Council. “We are dealing with a health disparity within a health disparity with diabetes and amputation prevention. The fact is that this problem is more expensive and just as deadly as the five most costly forms of cancer in the USA. While it affects everyone, it targets those who are least able to advocate for their own care. I am so very excited that patients, clinicians and researchers can team up to make a difference, together.” The panel begins its work to fund and promote research in this area later in 2014.